The Baileys Women’s Prize for Fiction stands as one of the most significant literary prizes in the United Kingdom and is unique in considering only writing by female authors. 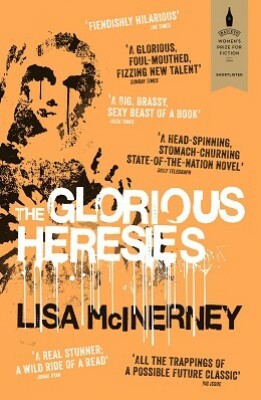 We’re pleased to confirm that Irish author Lisa McInerney has won the 2016 Baileys Women’s Prize for Fiction with her incandescent debut, The Glorious Heresies. McInerney first found a hugely receptive audience with her award-winning blog Arse End of Ireland, which for several years brought a sense of much-needed earthy realism to the hyped glamour of the Celtic Tiger. We at Waterstones warmly congratulate Lisa on her win and welcome a powerful new presence on the fiction stage. Following on from Ali Smith claiming victory in 2015 for the dazzling How to Be Both, Waterstones is proud to continue our long association with the Prize and it’s our pleasure to unveil the shortlist for 2016. Among the 20 novels longlisted are two by Irish writers, including Anne Enright for The Green Road. The eight British novelists include the always-excellent Kate Atkinson, for A God in Ruins, and British-Serbian Vesna Goldsworthy, whose first novel, Gorsky, has been a Waterstones Book of the Month. Hanya Yanagihara’s long, dark, unexpected hit A Little Life also features. The panel of judges read over 150 books between them, and chair of judges Margaret Mountford said of the longlist: "We are delighted with the quality, the imaginative scope and the ambition of our chosen books, a longlist which reflects the judges’ interests and tastes. We hope readers will enjoy the variety of outstanding work on offer." Following a unique dual-narrative, How to be Both differs depending on which edition you buy. In some copies, the story of a teenage girl called George dealing with the death of her mother begins the novel while in others the opening chapter follows Italian renaissance artist, Francesco del Cossa. The plot remains the same across editions but your understanding of the novel changes depending on the character order you're presented with. In lesser hands, the conceit would fall apart under itself but Smith handles the idea beautifully. 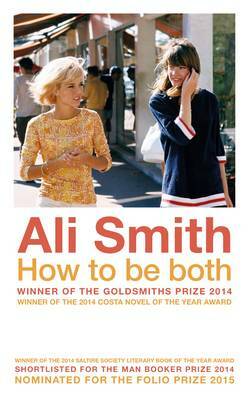 "I’m exceptionally pleased to see Smith’s novel recognised by the Baileys," said Chris White, Waterstones Fiction Buyer. "Constantly inventive, hugely original, endlessly rewarding and immensely entertaining, How to Be Both is one of the finest novels to have emerged in years." The book has already won the 2014 Goldsmiths Prize, the Saltire Literary Book of the Year and the 2014 Costa Novel Award as well as being shortlisted for both the Man Booker and Folio Prizes. This is, by any measure, a strong vote of confidence. “Ancient and modern meet and speak to each other in this tender, brilliant and witty novel of grief, love, sexuality and shape-shifting identity,” said Shami Chakrabarti, Chair of Judges. Now in its twentieth year, the Bailey's Women's Prize for Fiction is the only annual book award that solely celebrates fiction written by women. This year's shortlist was particularly strong. Amongst the selected titles were two of our own Book Club picks, The Bees by Laline Paull and Kamila Shamsie's A God in Every Stone. Also nominated were perennial Waterstones favourites Anne Tyler and Sarah Waters.